Lord, Let Me Be Brave! 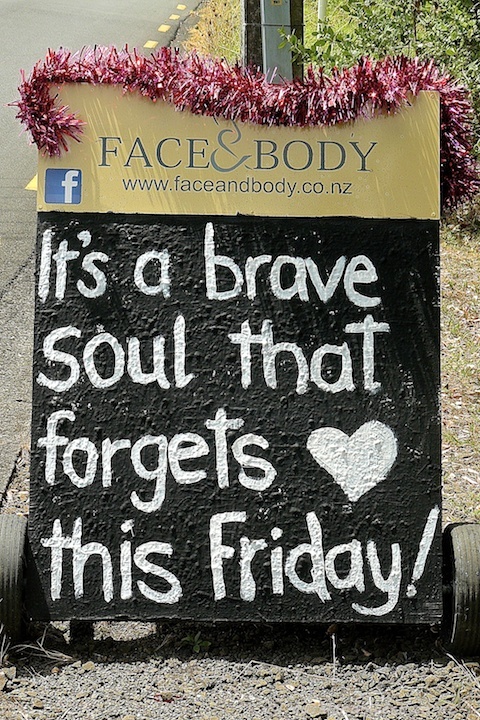 Face and Body on Titirangi Road make it their business to keep commuters amused with their advertising boards (and keeping or making the population beautiful, within limitations). 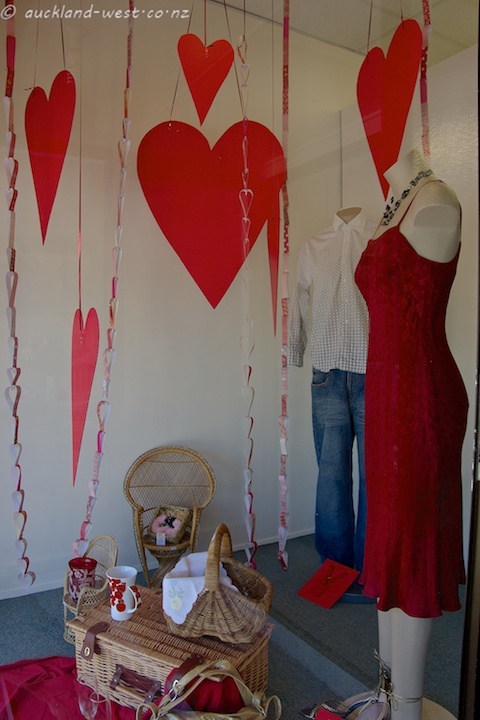 A less militant approach to Valentine’s day was found at the op shop in Helensville.